The 10th 2018 3WallBall Sports Festival concluded on Sunday, with the game’s best outdoor men’s and women’s stars from the east and west coasts playing electrifying 1WallBall and 3WallBall handball. 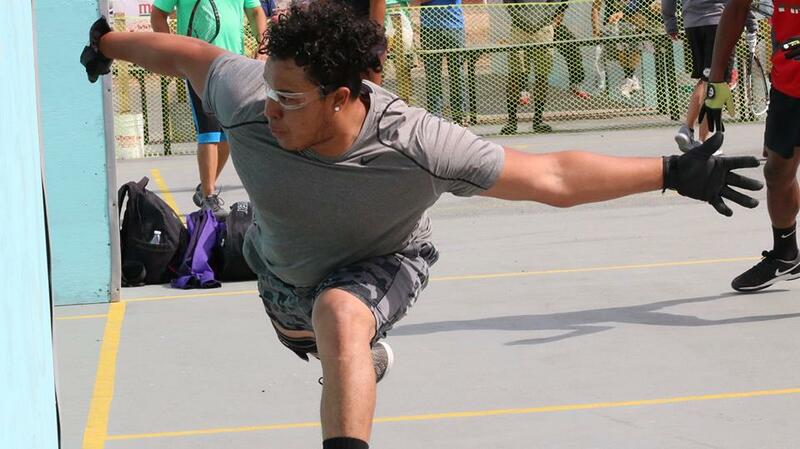 Tywan Cook earned his first 1WallBall singles title at the 2018 3WallBallSports Festival, overcoming his New York rival Hector Velez in a thrilling final. Velez led throughout most of the one game final to 21 but Cook saved his best handball for the final moments of the match, executing his patented stiff arm kills and diving re kills to win the title. 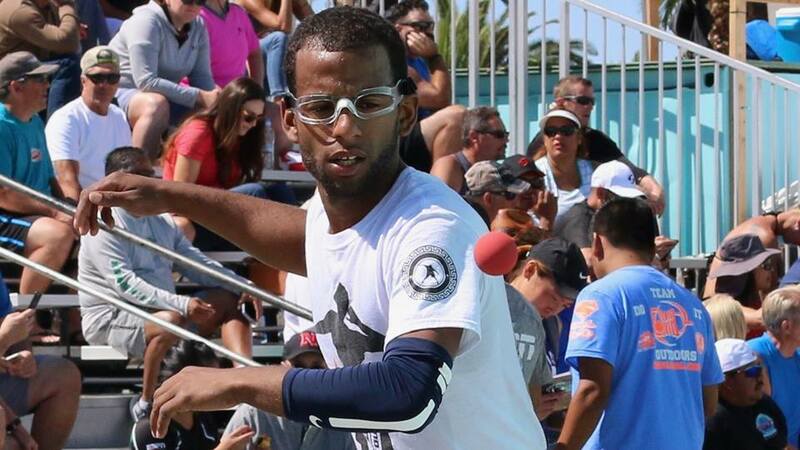 Philadelphia’s Sam Sanford continued to demonstrate that he is one of the world’s greatest outdoor doubles players, teaming with James Aguilera to defeat Hector Velez and Carlos Pena in the 1WallBall doubles final. Pedro Carmona denied Samzon Hernandez’s bid to win his second 3WallBall singles title, handing Hernandez his fifth consecutive loss in the 3WallBall singles final. Carmona’s steady game proved to be too much for Hernandez, as Hernandez was unable to cope with Carmona’s ball control and consistent execution. With the victory, Carmona earned his first 3WallBall singles title. Sanford teamed with Iggy Accardi to slam the WallBall doubles, ousting Ivan Chapa and Raymond Cota in the 3WallBall doubles final. 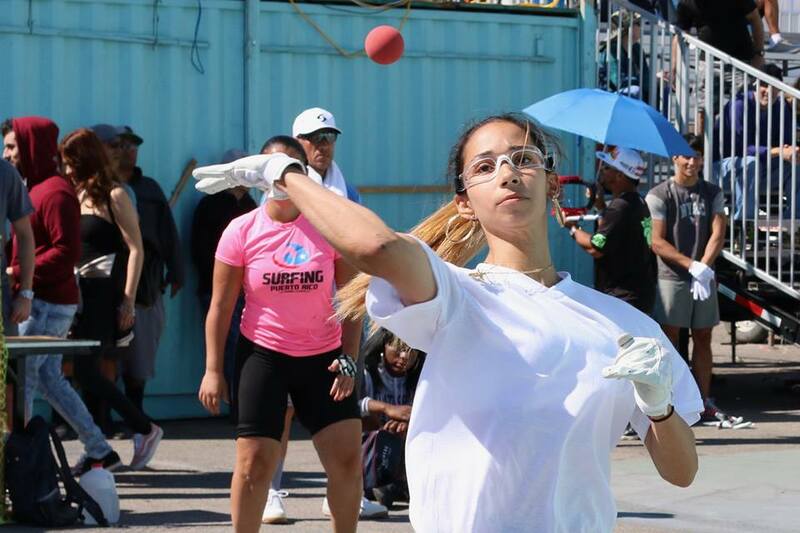 Christina Torres dominated the Women’s 1WallBall singles round robin, defeating Lily Fung, Sandy Seang, and Jessica Vasquez to win her first 1WallBall singles title. New York’s Crystal Ruiz and Eifia Leander clinched the Women’s 1WallBall doubles, defeating Veronica Figueroa and Christina Torres in the final. Read this thread for recaps from the weekend at the 10th 2018 3WallBall Sports Festival. Scorching mid 90’s sunshine produced scintillating handball on Saturday at the 2018 3WallBall Sports Festival, as the sport’s best outdoor stars continued their quests for 3-Wall and 1-Wall glory. Tywan Cook was clinical in the 1WallBall singles, defeating Samzon Hernandez in the quarterfinals and Carlos Pena in the final to advance to Sunday’s final. New York standout Hector Velez was equally dominant in the bottom half of the draw, ousting Johon Bermudez and Sam Sanford to meet Cook in Sunday’s final. 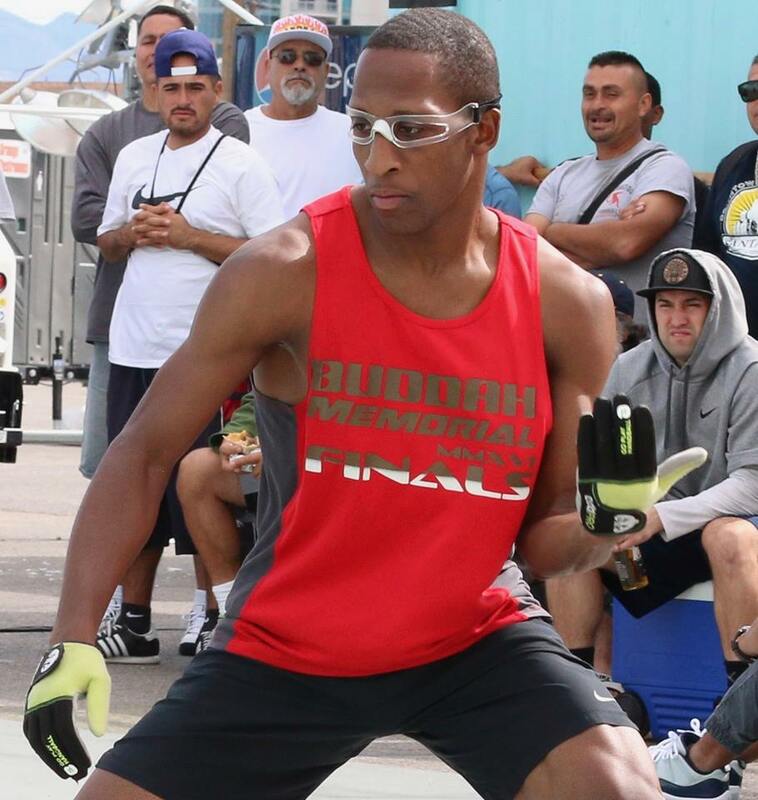 Samzon Hernandez continued his impressive play in the 3WallBall singles, overcoming SoCal’s Chris Lopez to advance to the 3WallBall semifinals in an event “The Machine” has shockingly won just once. Hernandez will face Los Angeles’ Daniel Vasquez in Sunday’s semifinals. Pedro Carmona cruised to the semifinals in the bottom half. Awaiting Carmona in the semifinals will be New York City’s 1-Wall dynamo Kadeem Bush, who transitioned from his preferred 1-Wall code to oust 3-Wall powerhouses Chris Tojin and Edgar Vizcaino. Sunday will also feature the conclusion of the women’s 1-Wall round robin singles, as well as 1WallBall and 3WallBall pro doubles. Stay tuned to this thread for updates from the weekend at the 2018 3WallBall Sports Festival. Las Vegas, NV, WPH Press, 9/28/18- 3WallBall proudly presented the 10th edition of the 3WallBall Sports Festival on the strip in Las Vegas, featuring more than 150 of the top men’s and women’s Big Ball 1-Wall WallBall and 3-Wall WallBall singles and doubles stars in the world. 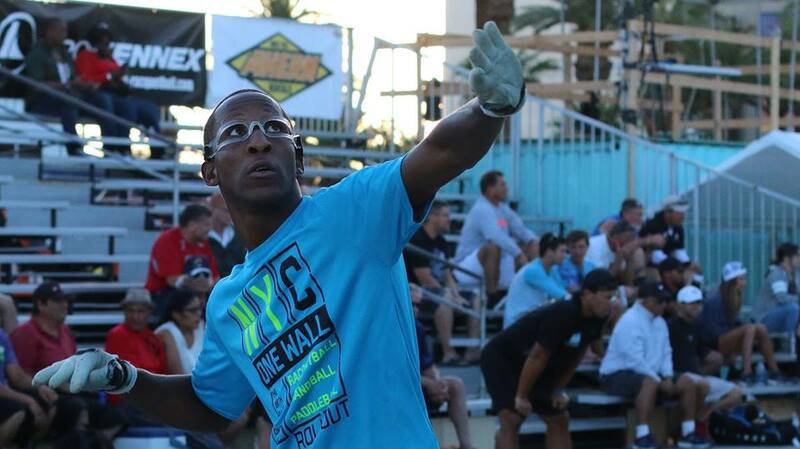 2012 1-Wall Big Ball world champion Tywan Cook headlined a strong 1-WallBall field that featured 17 of New York’s top stars, while 2010 3WallBall champion Samzon Hernandez headlined the 3-Wall singles and doubles fields. Day one produced very few surprises in the Men’s 1WallBall singles, as the top seeds marched into the quarterfinals on Vegas’ 1WallBall show courts. In Saturday’s quarterfinals, top-seeded Tywan Cook will face 12-time WPH 3WallBall champion Samzon Hernandez, James Aguilera will face New York rival Carlos Pena, Hector Velez will challenge Jhon Bermudez, and Philadelphia’s Sam Sanford will face Kadeem Bush. The 3-WallBall Men’s A singles completed the round of 32 on Friday, meaning 16 of the world’s best 3-Wallers will kickoff round of 16 action on Saturday. Samzon Hernandez, Brian Medina, Hector Velez, and Pedro Carmona appear to be the 3WallBall favorites, but anything can happen in Vegas.